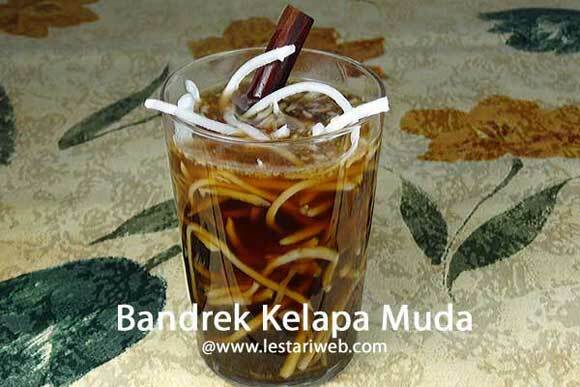 Bandrek Kelapa Muda or Coffee Ginger with Young Coconut Drink is a traditional hot drink from Sundanese folks in West Java region. 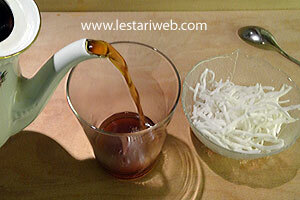 Honestly I am familiar with this hot drink since my childhood time 'coz my father is a native Sundanese. I have seen my grandmother preparing them for family gathering in the afternoon. It served only for the adults!! But something forbidden is like a magnet which draws and allures our curiousity as a child ;-). Then we sneaked around and try to have a sip of our parent's glass, unnoticed. 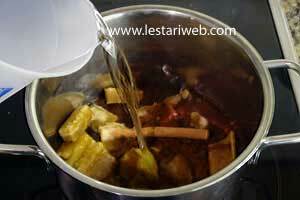 It tasted incredibly good ha ha..:-D . It is perfect to warm up your cold winter nights.. 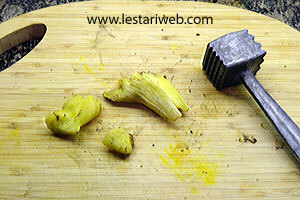 Important tips: The fresh ginger should be roasted then peeled-off to obtain the best taste. 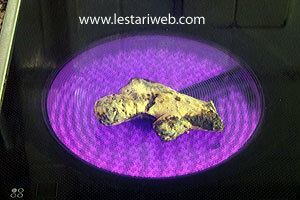 If making charcoal fire is too complicated for 1 pc ginger, just put the ginger on the stove's' surface or roast it directly on the flame until the skin get a bit burned and you smell a good aroma. 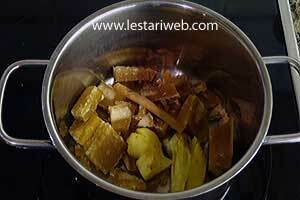 Roast the fresh ginger on a charcoal, stove or hotplate until the skin is charred and you smell a good aroma. 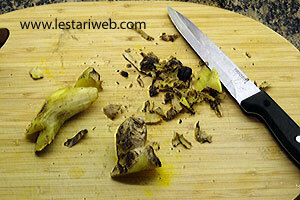 Peel off the skin of the ginger, slice it thinly or crush it with pestle or meat tenderizer. 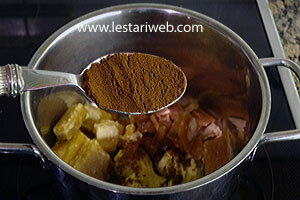 Put ginger, palm sugar, cinnamon and coffee powder in a sauce pan. 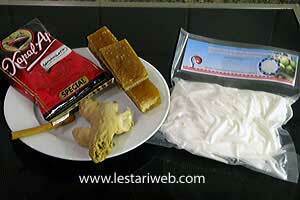 Add 1 liter cold water, stir to mix. The coffee will float on the water surface, just ignore it. 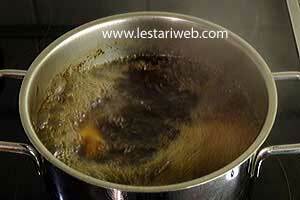 Cover the pan and cook over medium heat and bring to boil. 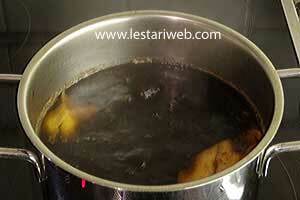 Adjust the heat to low-medium, continue to simmer for about 15 minutes until the coffee is being dissolved. Remove from the heat, leave it for a while until the surface is clear and the coffee grounds rest in the bottom of the pan. 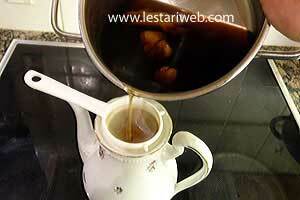 Filter the fluid through the kitchen sieve to obtain clear fluid. Reboil if necessary. 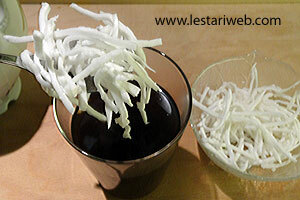 Pour into serving glass and garnish with young coconut slices. Serve hot.